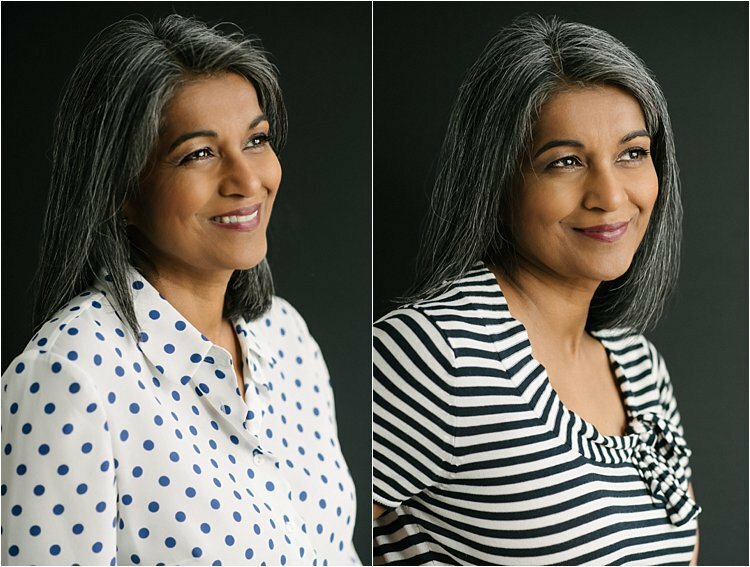 This article will demonstrate the difference between portraits taken with an umbrella softbox and natural window light, essentially flash versus natural light. My aim was to capture really soft light on the skin for both setups as I dislike hard light and harsh shadows which, even with light modifiers, can still happen. Before I used flash or any artificial light for that matter, I was always a little fearful of the idea. It seemed like a beast that needed taming or an insurmountable concept in my head. Reading the manuals didn’t help, they were all gobbledegook to me. Once I got over the mental hurdle, the hardest part was taking the first step. After that, the mountain gets smaller every time. I’m the experiential learner type who learns from trying it out and then reading up a bit about it, making mistakes and getting better at it. I realized that I really do need to read up in depth about something and try it and the cycle starts all over again. But this time, I’m I know what I’m doing a bit more. My first ever attempt at using artificial light was a speedlight flash. I took portraits of my children when they were little, navigating gently the minefield that is Nikon CLS or Creative Lighting System. I got some striking images – overexposed but I was able to bring the highlights back in Photoshop and turned them to black and white. But I was impressed with the results I got at that time. In fact, they are proudly displayed on the wall in my house. The next big step was getting remove triggers (transmitters and receivers) which did away with the awkwardness of having a line of sight between the camera and the flash. Line of sight means that on the CLS system, your camera and the flash must be able to “see” each other to communicate. The camera tells the flash when to fire but if anything physically stands in the way between the two, the flash will not fire. You can imagine how tricky this is when working with squirmy children! After those first attempts, the mental barriers slowly went down and I took more baby steps into using flash…adding a set of transceivers here (a transmitter and receiver all in one), an umbrella there, a softbox, and then adding a grid to it…. going from one light to multiple flash setups. Flash setup with the beige background. For the main studio setup, I felt the umbrella softbox was the perfect light (from the equipment I have) to achieve my goal. In an umbrella softbox, the light faces away from the subject into the umbrella which is coated silver inside. It then bounces back towards the subject through a white diffuser. In effect, the light is bounced first and then diffused making it softer twice. For the beige background setup, my main light was at camera right. I added a hair light opposite the main light (camera left towards the back) of her head which was simply a speedlight with a snoot attachment (black card rolled into a tube) covered with a diffuser (I used a small reflector for that). I moved my main light to my black background setup so that it was now on camera left. Window light on camera right provided fill light. I also added a back light, again a speedlight on a stand, as a separation light (explained further below). The green background was on the opposite wall to that of the black background so I did the opposite setup to the above to get the same results. Because my subject’s hair was not quite black, I could get away without a separator as shown in the shot on the right below. Another important note to consider is that if your window light is not as strong as you want it to be, you can add a reflector on the left to provide some fill light and even out the shadows a bit more. I usually do this depending on factors such as the strength of natural light coming from the window, what the subject is wearing (e.g., if they have dark clothes which absorb light, I would put a reflector to avoid any sharp change from light to shadow). Black background using natural light from the window and a flash separator light on the background. Now I really love natural light. It is far simpler to work with, BUT, only if you have it in the right place and that is not always possible. The window light in my studio only comes from one side and I diffused it with sheer voile curtains. I always want my window light to be coming from the side at a 45-degree angle (just like the main light on the studio setup above). The problem here is that the background wall is not plain so I set up a black backdrop in front of it. It’s a super simple setup but not without caveat! If your subject has black hair, it is essential to put a separator between the backdrop and the subject so their hair doesn’t blend in with the background. The separator can simply be a speedlight on a stand or a continuous LED light of some sort. I vary the position of my back light, either upwards, toward the subject to get a really subtle bounced light, or towards the backdrop to get a dramatic burst of light as shown on the left above. All natural light from the window. If you have a fear of flash, then I encourage you to try it with simple set ups like the ones above and move on from there. Whether you’re using natural or artificial light, it’s important to know where to place your light or the subject in relation to the light available in order to achieve the results you are after. Comparison: natural light on left, flash on the right. Remember that by manipulating any light either by angles, position, and distance or by the use of modifiers and diffusion, you are able to mimic any type of light, although this would require practice. Many photographers use a variety of artificial flashes together in one shot, others use purely natural light but with the use of modifiers such as v-flats, reflectors, cards, etc., to add to or subtract light. The main take away here is to work out for yourself what your preference is and try things like manipulating light in various ways to achieve your vision. I hope you enjoyed this little tutorial and comparison. If you have any more tips, please feel free to share them in the comment section below.